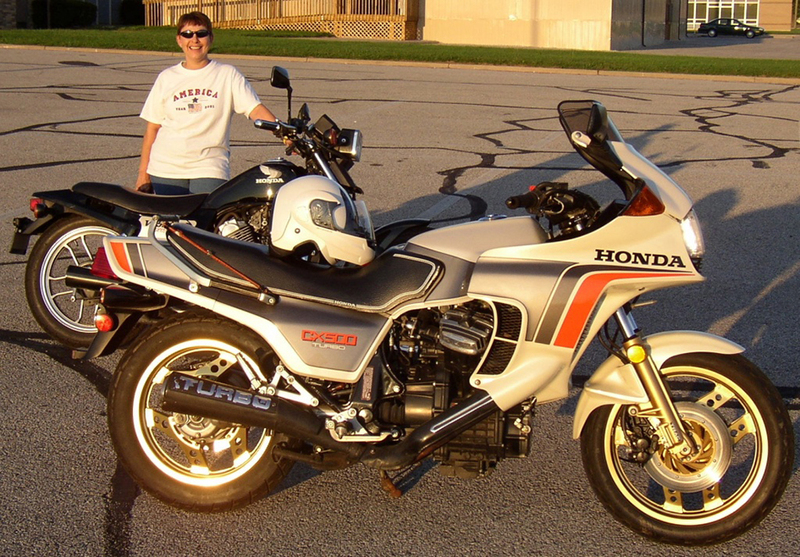 The following pictures and descriptions were sent in by David Lancello who has owned his CX500 Turbo since new in 1982! The first one is my 500 Turbo. 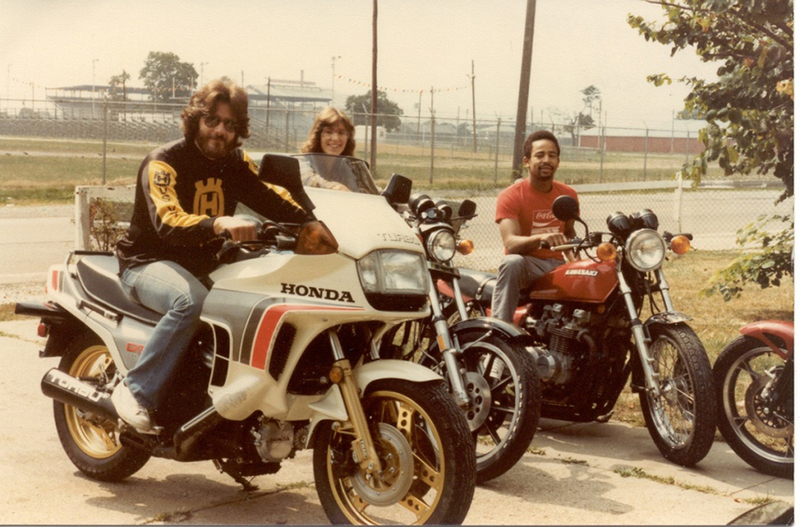 The photo was taken when it was new in 1982. It was within the first 2 weeks of when I picked it up from the dealer. I know this because I was run off the road by some lady who was not paying attention (you can see the scratches on the fairing). I replaced it the following week. Here is the same bike now. It is training day for my wife Christy on her newly acquired VT500 Acsot. I have to restore her Ascot this winter but the Turbo will be done next winter. I lowered the Ascot to accommodate Christy's 25" stand over height. 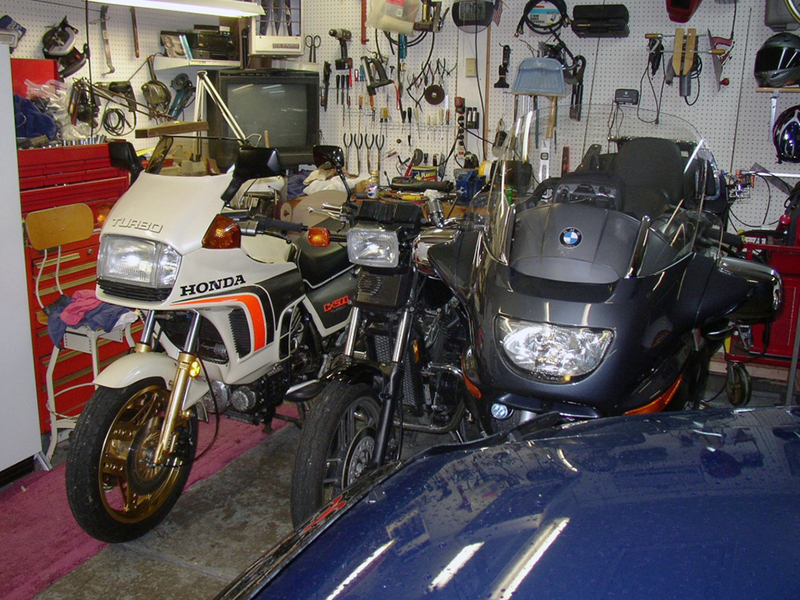 Here is a pic of all the bikes and 2 SUVs crammed into our 2 car garage. The third bike is a new BMW K1200LTE. We use it for the long trips.